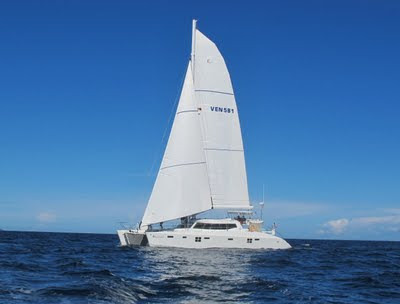 OCEAN JEDI – FUN IN THE SUN GETAWAY to the Virgins – 1/2 BOARD (breakfast and lunch ) 5 days – 4 nights - 4 PAX ONLY –$8900. Good through July. Must be a confirmed booking no later than July 8th. Ocean Jedi a 58 ft sailing catamaran is spacious and ideal for cruising with comfortable accommodations which include 3 king size en-suite cabins.